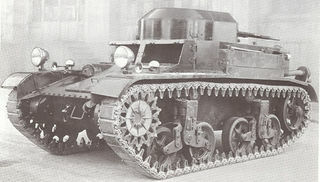 The M2 prototype with Vickers suspension. 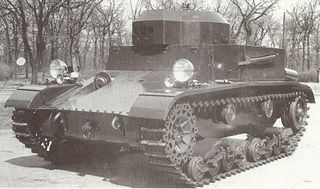 After trials in 1934, the tank was sent for redesign, as the performance of the suspension was not sufficient. The tank never saw mass production. 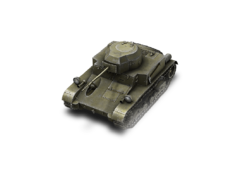 The T2 Light Tank is a very fast tank, with a top speed of 72 km/h and one of the highest hp/ton ratings of any tank in game. It has a fairly weak gun and poor armor though, with the weakest rear armor of any tank. Its use as a deep penetration scout is limited by its short radio range. The only way to play this tank is to never stop and try to engage the enemy by circling, but beware that it has a large turning radius at speed so you'd better plan ahead as you approach. Its light weight means it takes heavy damage when rammed, usually tracking it and often outright killing it. The T2 Light will excel when top tier, as it is very fast and has a wealthy amount of burst damage. You are unable to bounce shots in this tank however, so take caution when fighting enemies, and try to attack them when they are distracted and use your speed to get back into cover, then 9 seconds later, repeat. 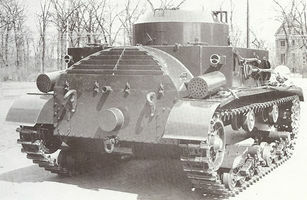 This tank would be a lot more interesting if it was placed in the same battle tiers (see sidebar) as the M2 Light Tank. As it is, it's fast, but it has a lousy radio, so it doesn't make for a good scout. Training your radio operator in the perk Signal Boosting will improve your radio range. Beware of enemy T18s, as you will have difficulty penetrating their armor, while they will damage you easily. Commander: Sixth Sense, Camouflage, Recon. Driver: Off Road Driving, Camouflage, Clutch Braking. Radio Operator: Signal Boosting, Relaying, Camouflage. None required, this is a premium tank. This vehicle started the use of aircraft engines in tanks. This eventually became the M2A2 light tank. One unit was built based on the experience gained from the Cunningham T1 - T6 series. This unit was built at the Rock Island Arsenal. This page was last modified on 26 August 2014, at 23:37.